Christmas in always is a very festive affair! 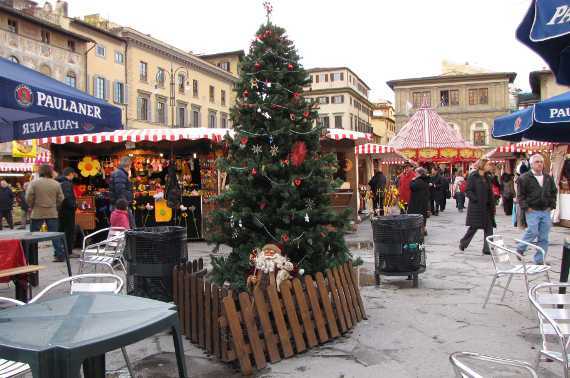 This year, however, the holiday season in Florence seems a bit less bright, a tad less colorful than it usually is. It might be due to the current international economic crisis that discourages too much gift shopping on everyone’s part, as many worry about losing their jobs and what the new year will bring. This also seems to be the case for tourists, as there seems to be less people in general in the historical center when this period generally means lots of crowds. Not all is gloomy, of course. Prices have started to come back down and even accommodation and meals in restaurants cost less this holiday season due to the fall in demand. The streets might not be as decorated with Christmas lights as they have in the past years, but it is still Christmas. Maybe the downturn in the economy will remind us all that Christmas is really a time we should be enjoying the time we spend time with family and friends, and not concentrate so much on the gifts and spending. It is also a beautiful time to enjoy musical concerts, outdoor markets selling traditional crafts and special exhibits throughout the city. 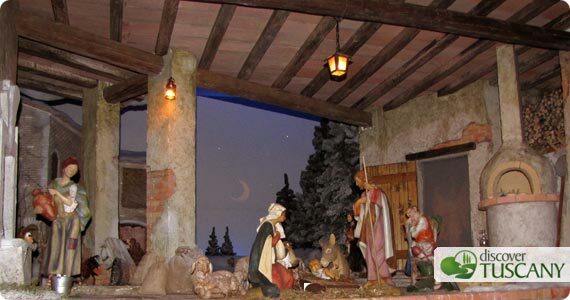 As you walk down the streets of Florence, step into the various churches that have Nativity scenes set up. Enjoy a cup of warm wine cider or roasted chestnuts or a warm pastry as you walk. 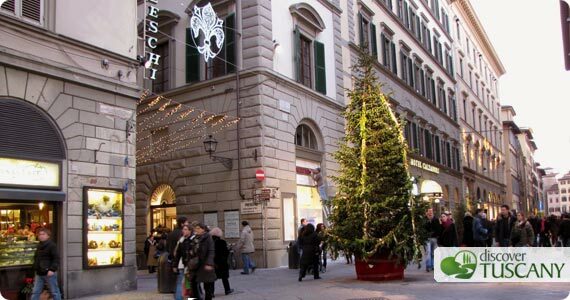 Wrap yourself up in a warm coat with your scarf and gloves, and walk downtown and along the river to enjoy a special holiday season in Florence this year!